Jason visiting with an area farmer at the Saturday Market about the challenges and opportunities for those involved in supplying local food. Penticton needs a real change. Jason Cox has not been on council before and in this sense that is a good thing. Jason has not been brought along in a system that teaches “old politics”. In fact, the only way we will finally stop this notorious tradition is by electing someone from outside the system who can truly stamp it out and finally take Penticton’s local government out of the rhetoric and into the reality of transparency and accountability. Jason comes into this election after more than a decade working as a volunteer at almost every committee table the city has. In these roles, and as President of the Chamber of Commerce, he has fought against the most outrageous attempts to circumvent the public process. As a community volunteer, he was able to help stop some of this type of practice, others he was not. That is why we need to elect Jason Cox, he is not only keenly aware of the problem, he is ready to actually change the culture of council for the benefit of the people of Penticton. From City Committees, to Chairperson of The Chamber of Commerce, Jason has been dedicating his time to making Penticton a better place. Jason has run various businesses over the years, including his current, highly successful operation - The People's Soda. Jason has an entrepreneurial spirit and will work hard to get the job done. Jason's goal is to make the city a more enjoyable and accountable place to live, work and play. He believes that the citizens of Penticton can work together to make it a better place. I am running for Mayor because I love Penticton and I want to contribute to make this city a better place to live, work, visit and invest in. I strongly believe that a Mayor must lead by example in terms of honesty, integrity, inclusivity and engagement. I have been a strong advocate for the Penticton area for more than a decade. I know that one of the most important roles a mayor takes on is to be the strongest advocate for the community. As mayor I will collaborate with other levels of government and neighbouring jurisdictions to bring results to Penticton. Public safety has become a serious concern for the people of Penticton. Too many years have been wasted downplaying issues of crime and addiction in our community. It is well known that Penticton has a large infrastructure deficit. Successive administrations have neglected to address our aging water lines, sewer systems and electric grid. There are some serious and expensive projects coming up for the City of Penticton. Just like a household, the deteriorating assets need to be replaced and repaired over time. We need a Mayor and council capable of prioritizing the highest need items. I believe that the Mayor and Council need to do a better job of engaging with the residents and demonstrating that they are listening to what the community is saying. Residents must have the opportunity to provide input into decisions that impact their lives. City Council needs to know what is important to our residents and businesses; what their concerns, hopes and dreams for our community are. The City of Penticton Economic Development Department does some things really well. I have been part of the Economic Development Committee for many years and am proud of the work that has been done around collecting data and creating a strategic plan. I think there is so much more to do. Penticton has excellent outdoor and indoor places and spaces. We need to develop more and take better care of what we have. Tournaments and training bring visitors to the city. Visitors who sleep in our hotels, eat in our restaurants and shop in our stores. This kind of sport tourism is often the introduction to our community that leads to new residents and new businesses. 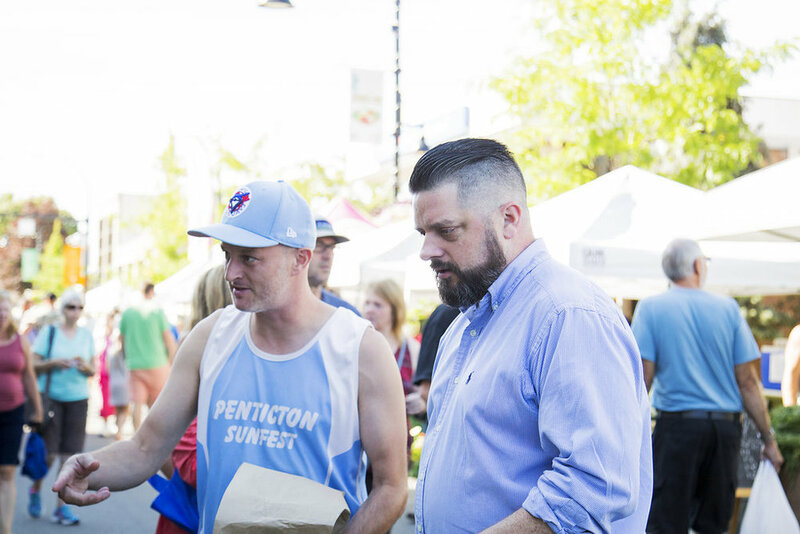 Jason's quality of character will serve us all, particularly his eagerness and genuine interest in listening to what people want for Penticton.